“We deny with our lips what we do with our hands,” Arnold Toynbee said. This is the way Satanists operate. ‘Believe what I tell you, not what you see.’ Cognitive dissonance. This is why the Illuminati is downplaying the obvious terrorist nature of the shooting rampage in Toronto July 22. In light of 9-11, where the “deep state” killed 3000 Americans, we should not be surprised to hear that our Masonic political, economic and media elite uses intelligence agencies like the CIA and Mossad in an ongoing attack on society. Characteristic of this attack is a kind of cognitive dissonance, where they pretend they aren’t doing it. An innocent party is blamed instead. This is the essence of a “false flag.” Society is being destabilized but it should not know this is happening or who is doing it. The occult strategy of attack and deny was again evident in the Toronto shooting rampage July 22 which killed two and wounded 13. 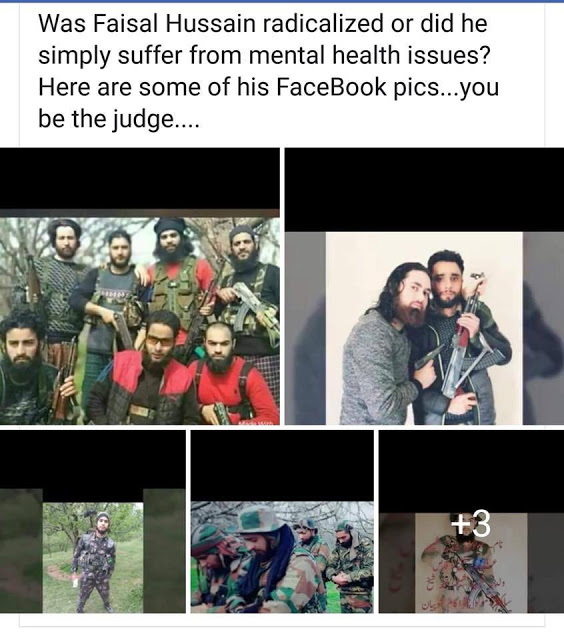 Despite ISIS claiming responsibility, the mass fake media downplayed the shooter Faisal Husseini’s jihadist connection. Instead, he was portrayed as suffering from mental illness and thus a kind of victim himself. Last year, Faisal’s brother Farad was apprehended with a large cache of weapons, including 31 identical high-end handguns, and 42 kilograms of carfentanil. It was the largest carfentanil find in North America; if not the world. The media misrepresent the 42 kilos of carfentanil as a major narcotics stash. Actually, it was a massive chemical weapons stockpile capable of killing thousands.